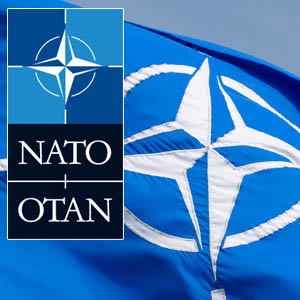 North Atlantic Treaty Organization (NATO) was founded on 4th April 1949 in Washington D. C. For Security against Soviet Union United States, Canada and several Western European nations collectively created NATO. NATO is also called as North Atlantic Alliance that is an intergovernmental military alliance based on north Atlantic Treaty. NATO however was not only created for security against Soviet Union but it was having other powerful facts like making strong North American Presence on the continent for forbidding the revival of nationalist in Europe, deterring Soviet expansionism, and encouraging European political integration. NATO has headquarters in Brussels, Belgium including membership with 28 other countries. NATO was originally started with 12 nation states. It later expanded with 16 more members from 18 February 1952 till 1 April. Out of 28 member states 25 are European countries, 2 are from North America and 1 is from Eurasia. France, United Kingdom and United States are the three members having Nuclear Weapons. NATO keeps the freedom of the members in check. It also protects the political and military security of the members. NATO works on the system of collective defense for the members. If any member faces attack they can seek defense as all members have agreed to mutual response by an external party. Political - NATO promotes democratic values and encourages consultation and cooperation on defense and security issues to build trust and, in the long run, prevent conflict. Military - NATO is committed to the peaceful resolution of disputes. If diplomatic efforts fail, it has the military capacity needed to undertake crisis-management operations. These are carried out under Article 5 of the Washington Treaty - NATO’s founding treaty - or under a UN mandate, alone or in cooperation with other countries and international organizations. NATO provides a unique opportunity for member countries to consult and take decisions on security issues at all levels and in a variety of fields. Decision - A “NATO decision” is the expression of the collective will of all 28 member countries since all decisions are taken by consensus. Each day, hundreds of civilian and military experts and officials come to NATO HQs to exchange information, share ideas and help prepare decisions when needed, in cooperation with national delegations and the staff at NATO Head Quarters.